So your company wants to get involved…. Self-Esteem Rising provides the Beautiful Me programs to women and girls across the country, and this campaign was designed to raise the profile of the organization and generate donations that will allow us to expand the programs further. We’ve already reached nearly 50,000 females with our self-esteem curricula, but our sights are set so much higher. Please help us spread the message that self-esteem is important and our program is available to females of all ages anywhere in the world to help them activate self-confidence within themselves. Your team can help empower girls everywhere! Be sure to use the hashtags and tag @selfesteemrising and let the world know why you also believe that confidence is a superpower ! Learn more about corporate giving here! If you love what we are doing, please reach out and help us sponsor a school to go through this program. Your company can be the reason a girl feels confident in her life. How great is that?! Are you a media training wizard? Does your company have a billboard you'd like to donate? Can you help us bring more eyeballs to this campaign? If you or someone you know is passionate about helping girls be the best versions of themselves, please reach out today we would love to have you on the team! We also want you to reach out to your networks of people in your life to share the mission of the Beautiful Me Programs. The more people know about what we’re doing, the better off we’ll be. And don’t worry about what to say — we’ve made template emails for if/when you want to reach out. Just copy, paste and click send! Again, the more people you share with, the greater this becomes! As we grow we need donations, eyeballs and TALENT- if there is anyone in your network who you think can help with any of these things please let them know about us! I wanted to share with you this incredible organization called Self- Esteem Rising and the program it’s raising awareness for, Beautiful Me. Beautiful Me is a free self-esteem curriculum provided to females nationwide. The program has already reached nearly 50,000 women and helped them believe that self-confidence is a superpower—once they start to believe in themselves, magic happens. That’s an idea that really resonated with me, which is why I wanted to hop onboard this campaign. 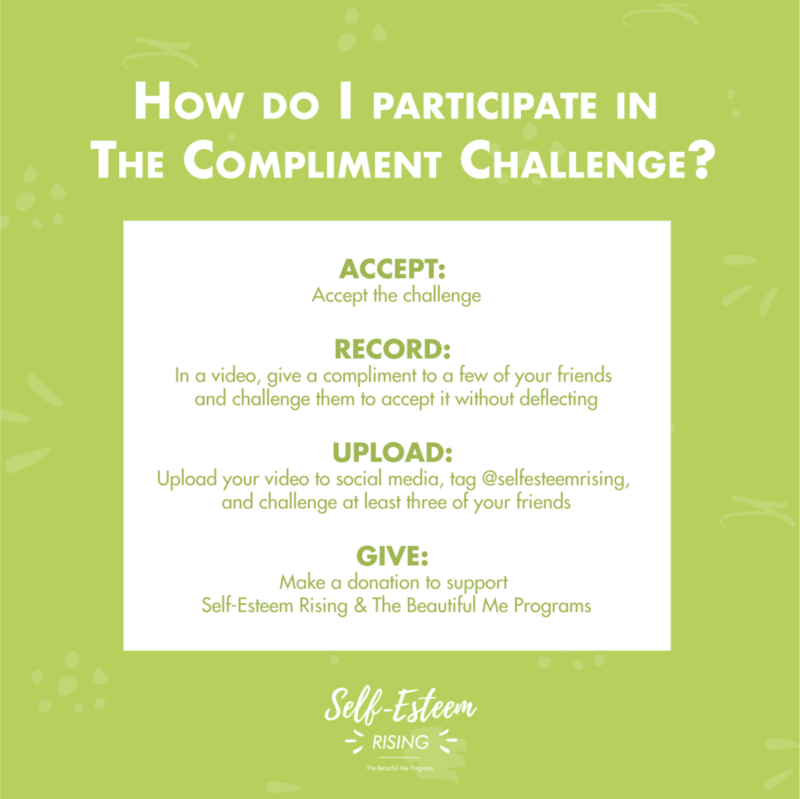 Self-Esteem Rising has two main goals: generate donations to the Beautiful Me Program and raise awareness of the program through social media and press outreach. So that’s why I’m reaching out. I want to bring more awareness to Beautiful Me, and I hope you’ll want to, too! With every “Like,” “Share,” and dollar donated, with every use of the hashtag #ConfidenceIsMySuperpower, and every social post about the Programs, you are helping to bring this critical education to females across the country. I hope you’ll consider taking some time to learn more by visiting selfesteemrising.org and Facebook and Instagram! *We ask that you be mindful of what you post, and be on the lookout for anything that could be deemed inappropriate. If it’s questionable at all, we ask you to use the "better safe than sorry" method, and hold back on posting that specific content. We also reserve the right to ask that anything that does not align with the mission of the foundation be taken down upon request. Yes ... a thousand times yes! Visit our donation page here to find out more about how to support this amazing cause! Thank you for your generosity! Every dollar helps us expand the program to even more cities, so we are truly grateful. BANNER: What can my company do? BANNER: What can I do?